Looking for a holiday villa in Tamariu? Then you’re in the right place! Chic Villas has a great property near the beach, ideally located to enjoy everything the Costa Brava has to offer. Read on to find out more about the villa and Tamariu. Tamariu is a Spanish village in the Baix Emporda county in the province of Girona, which also includes Pals, Palafrugell, Begur, LLafranc and Palamos. Tamariu might be tiny, but it’s packed with charm and is an idyllic place for a holiday. Rent a holiday villa in Tamariu and you’ll find yourself embraced by the sea and the countryside, sandstone cliffs and lush vegetation. The village square, Platja Gran, is flanked by picturesque colour-fronted houses and is perfect for experiencing the Spanish lifestyle, while Aigua cove is just down the road, a delightful hideaway creek where you can soak up the sun with your toes in the Med. Why go to Tamariu in Spain? 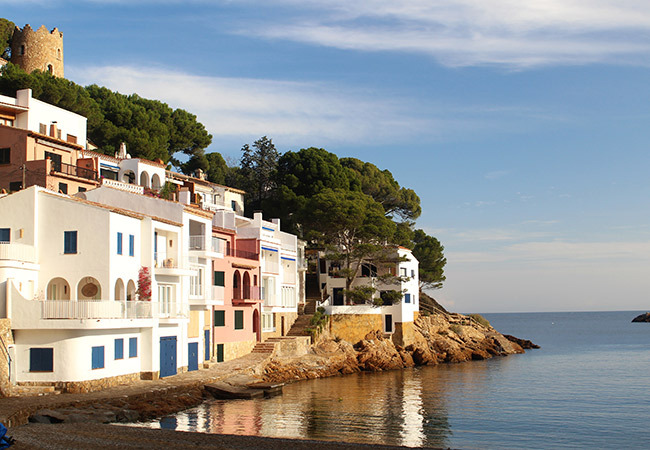 Apart from being a picture-perfect village with white sandy beaches, Tamariu also happens to be perfectly situated for exploring the Costa Brava. The crystal-clear waters of the Mediterranean Sea are an invitation to discover the hidden treasures that lie below the water. The gorgon corals, spiny lobsters and moray eels found in the Tamariu canyons are a sight to behold. Head to the Stollis Divebase in Tamariu or the Snorkel Diving Center in Llafranc to organise a diving trip to remember. If you’re renting a holiday villa in Tamariu, you can also head away from the beaches and discover the plethora of quaint villages inland. Start in Pals, perched high up in the hills for breathtaking views. Stone houses, an old fort and a decidedly mediaeval influence gives it a lovely atmosphere. Peratallada is another mediaeval village with cobbled streets which has lost none of its authentic character and has lots of great little bars and cafés to sit and chat at. A little further up, near Cadaqués, the Cami de Ronda coastal path makes a great walk. With or without an audio guide, the nature is beautiful and you’re likely to come across the local wildlife. Finally, golfers will love the lmporda Golf Club in Gualta. Three 18-hole golf courses enjoy a scenic location looking out to sea. 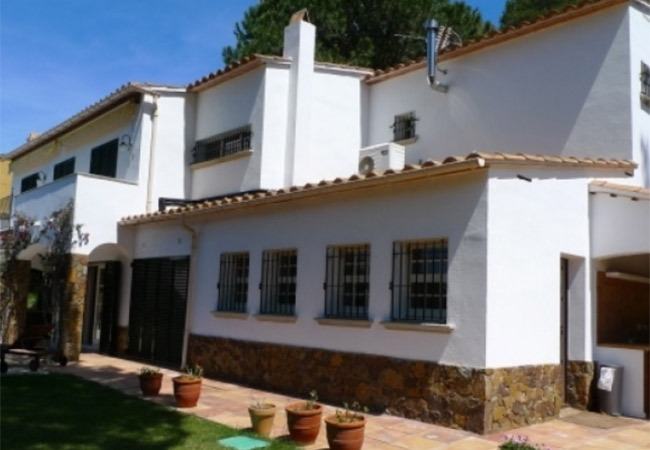 Ranked as one of the best courses in Spain, this is a must if you’re renting a holiday villa in Tamariu. Chic Villas has a selection of luxury villas in Spain, with a wide choice of properties on the Costa Brava. This time, we’ve picked out this 5-bedroomed self-catering villa near the sea that sleeps 10. It comes with an outdoor terrace, private swimming pool, games room with pool table, air hockey and table football, in a quiet setting just a few minutes from the beach, a tennis court and restaurants. Your holiday villa in Tamariu will be a haven of peace and a perfect base for exploring the Costa Brava.